To customize the repeat frequency of your reminders, go to the Reminders app and create a reminder by tapping a blank line and entering the name of the reminder. To customize the reminder, tap the 'i' icon to the right of the name. 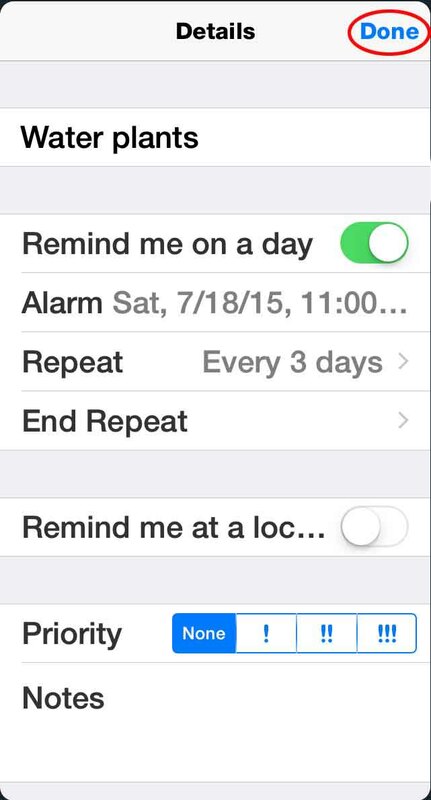 In the screen that appears, enable "Remind me on a day." To set a custom repeat interval, tap on Repeat, then tap Custom. You'll see two choices. 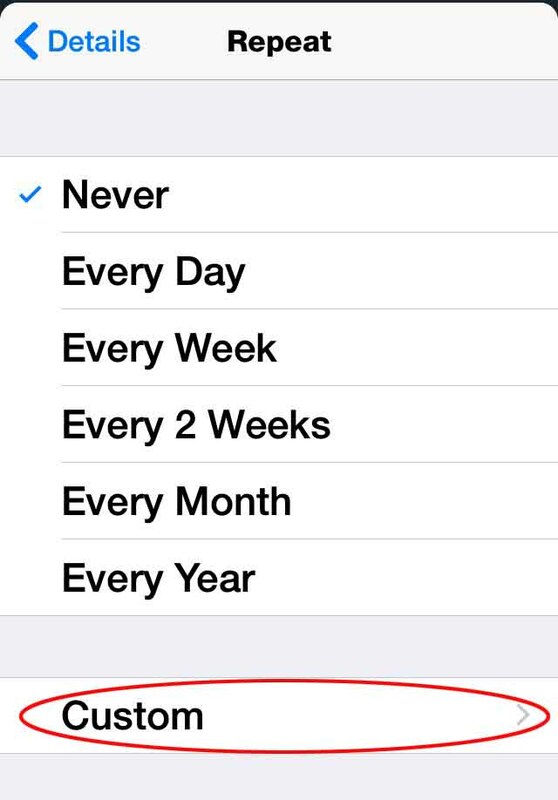 Tapping Frequency lets you set whether you want to be reminded daily, weekly, monthly, or yearly. Depending on which you choose, more options will appear. For a weekly reminder, you can set which day of the week. For a monthly reminder, you can choose any particular days each month that you want to be reminded, such as on the 1st and 15th of the month, by selecting Each and then tapping the specific days during the month. If you want to be reminded of something on a particular day or days each month, you can do that too. Select "On the..." and then choose from a scrolling wheel of options such as "first," "second," "third," "fifth," and "last." A second scrolling wheel lets you choose among days of the week as well as "day," "weekday," and "weekend day." So you could, for example, set a reminder for the last day of each month. To summarize, the above set of options is available when you go to the Reminders app and tap on Repeat > Custom > Frequency. However, in that screen you also have a second option: Every. When you tap Every, a scrolling wheel will appear that lets you select the number of days for the interval of a repeating reminder, such as every 3 days, or every 10 days, or every 75 days. Once you've made your choices, it's very important to then navigate back to the original Details screen by tapping on the wording at the top left by tapping Repeat, then Details. Then in the Details screen tap Done at top right. 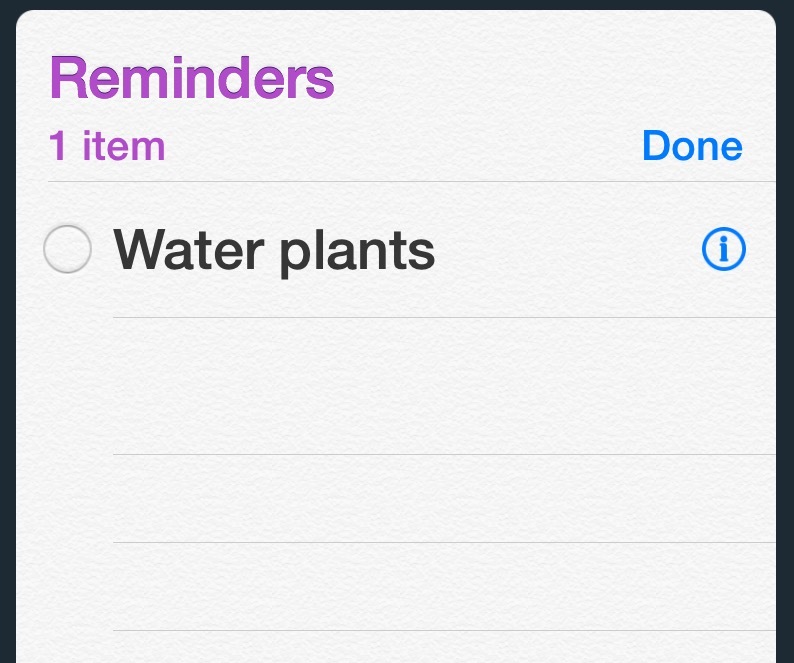 Otherwise, the Reminders app won't remember the changes you've made. As you can see, you now have a wealth of options for customizing intervals in Apple's Reminders app.